Short Product Description: My spell oils, and Aromatherapy oils are made with 100% organic oils, and herbs. Each one with a unique scent, or intention. I even accept custom orders. Here is a brief description of each oil. Would you like a custom one made just for you? Send me a message, and I will gladly accommodate your needs. All oils are made with Organic Non-GMO products. Only the best purest ingredients will do. My spell oils, and Aromatherapy oils are made with 100% organic oils, and herbs. Each one with a unique scent, or intention. I even accept custom orders. Here is a brief description of each oil. Would you like a custom one made just for you? Send me a message, and I will gladly accommodate your needs. All oils are made with Organic Non-GMO products. Only the best purest ingredients will do. 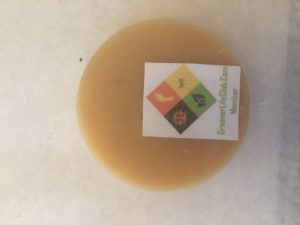 Protection Spell Oil- Made with corresponding herbs that help aid in various forms of protection, (such as Rosemary, Allspice, Clove, & Star Anise and more! ), My Protection spell oil is a great accessory to aid in protection spells. With hints of Lavender, & cloves. Made with organic Non-GMO Fractionated Coconut Carrier Oil, and organic herbs. Love Spell Oil- Made with Organic Grape seed Carrier oil, and hints of Roses, Lavender, and Orchids, This oil will Surely awaken your senses, and aid in any Love spell you may use. Great as a perfume too! Money Drawing Spell Oil- This is extremely helpful in financial situations. This is an Excellent tool to pair with my Money Witch Balls. This has a Unique scent, Notes of Peppermint, Cloves, Lemon Grass, and Egyptian Musks. Carry in your pocket, or use with spells. Made with corresponding herbs to help attract money, and help you financially. Basil is a well known herb used for money drawing. Paired with Allspice, Clove, and Thyme. Breath Clearly Aromatherapy Oil- Made with Fractionated Coconut oil, hints of Eucalyptus, Pepermint, and Lemongrass. Use this when you are stopped up, or congested. Rub on your chest to help aid in Chest Congestion. Excellent for use in Oil Diffusers! Lavender Vanilla Aromatherapy Oil- With real Lavender flowers! Roasted Vanilla Bean Coffee Aromatherapy Oil- Hints of warm sugar, Vanilla, and fresh Coffee Beans. This aromatherapy oil Will awaken your senses. So smooth and fragrant. Another good one you can use as a perfume. Tropical Dragon Aromatherapy Oil- Notes of Egyptian Musks’, warm Vanilla Sugar, and various Flower scents. Tropical Dragon, is Like a Mini vacation in a bottle. Another great oil that can be used as a perfume.